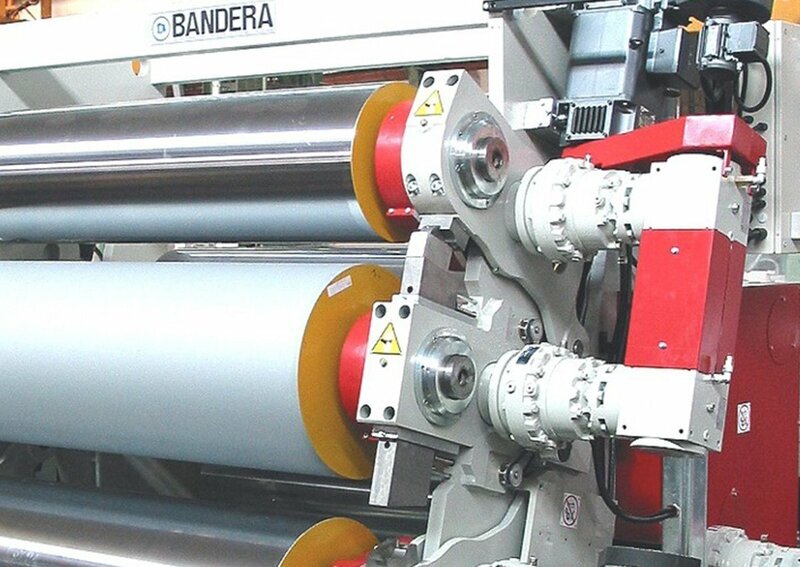 For the fulfilment of various industrial applications, Bandera customizes its equipment to satisfy all the final applications requirement. Top quality materials for top quality features: perfect transparency with no optical distortion, brilliance and brightness for prestigious architectural uses, physical-mechanical characteristics in compliance with the final application. 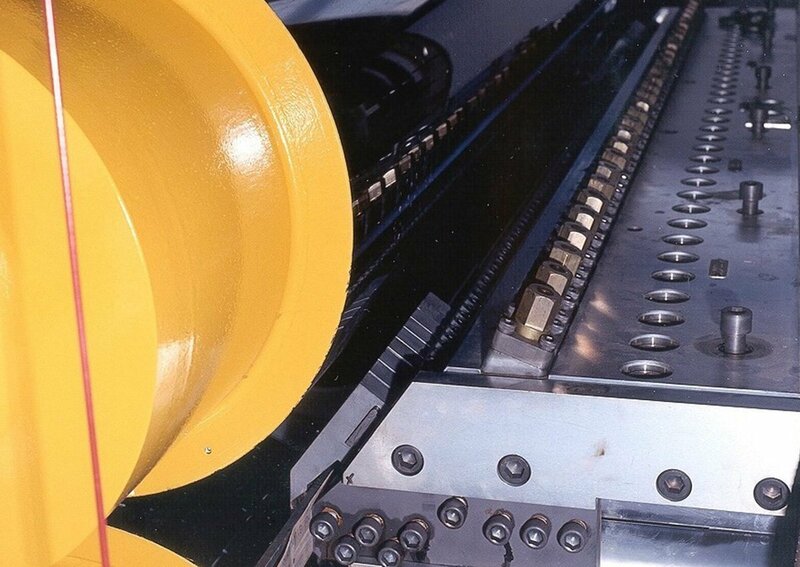 Specific extrusion, calendering and downstream arrangements to ensure a cutting edge production. The new printed cards – having 3D motion or morphing effect – require high accuracy of both the design (LPI) of the manufactured sheet and the extrusion line components, which need a higher level of precision to ensure the reliable creation of the micro-lens embossing on the plastic sheet. The line is intended for products destined to chemical-industrial applications (liquid tanks), automotive field (i.e. pick-up external covers), cut flatbeds, technical components. 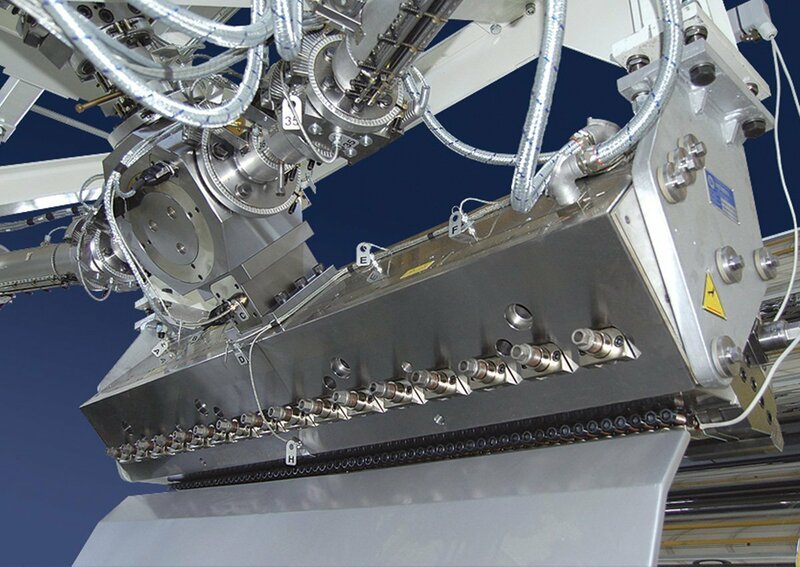 The high molecular weight resins ensure extraordinary chemical and physical-mechanical features (cut/abrasion/impact resistance); it is possible to add mineral fillers in extrusion to further improve some of the final product characteristics. 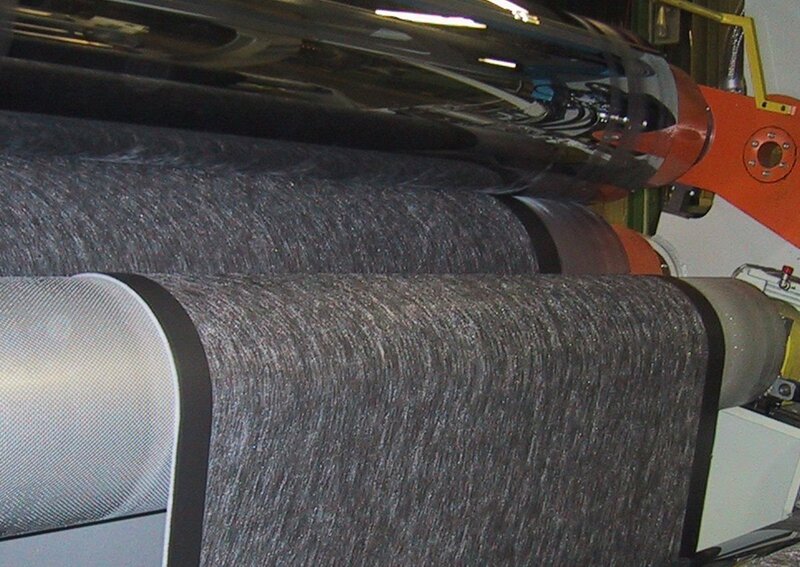 Today the geo-lines need to produce flat or embossed sheets (with customized patterns) keeping weldable areas for the land placement; geomembranes must be resistant to atmospheric agents and with adequate mechanical properties for the application. 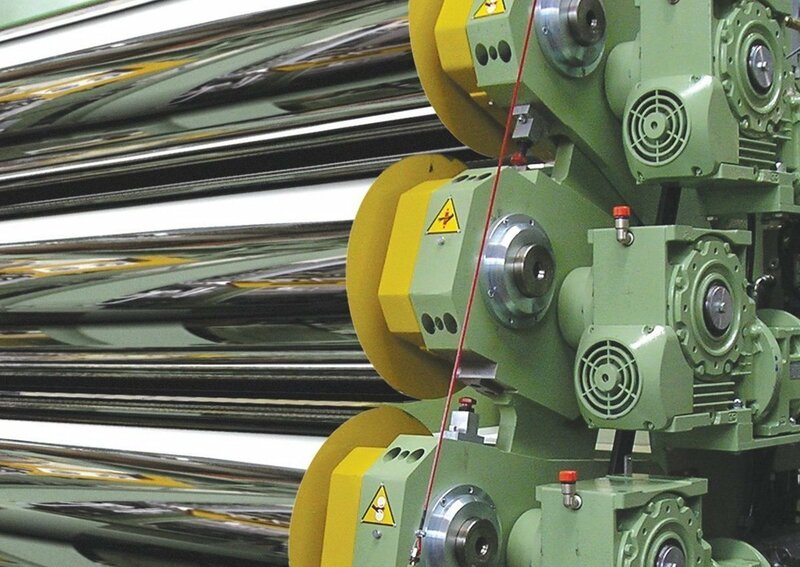 The Bandera proposal can reach the widest market request (sheets up to 8000 mm); these impressive machines require skill-design and know-how to integrate all these features into an efficient production line. 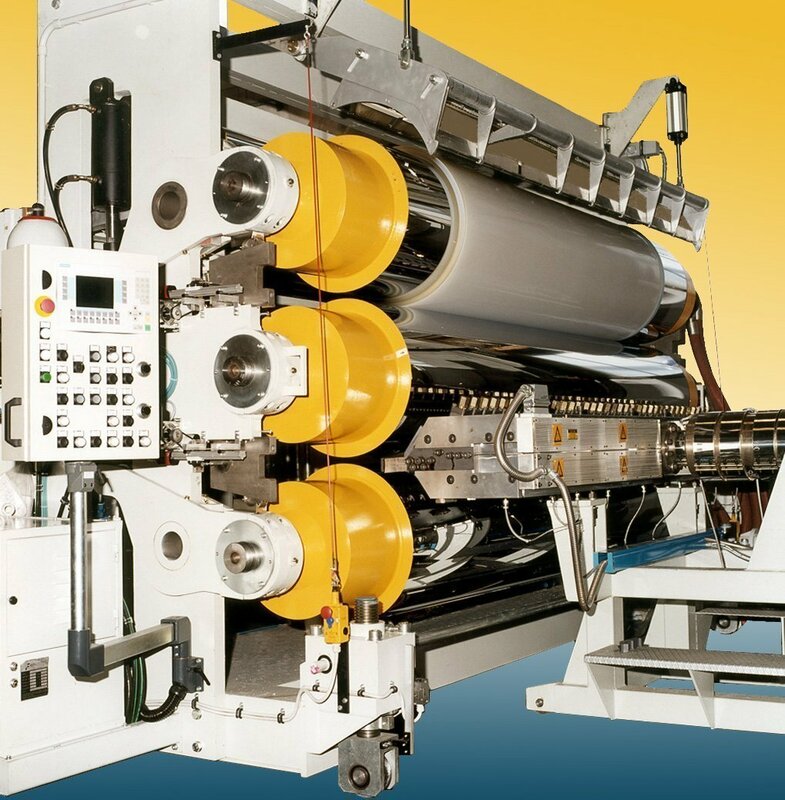 Multi-layer composite waterproof membranes may require multiple flat dies installation (single or multi-manifold) and special lamination devices to encapsulate textile / synthetic / reinforced supports / special plastic layers according to specific customer’s needs. The high characteristics of the final product allow a wide application range: foundations, tunnels, subways, swimming pools, etc. 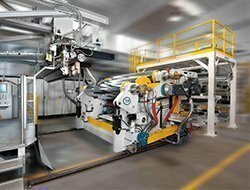 Turn-key extrusion plant including specific extrusion systems (twin screw) and lamination devices for the production of internal components of the car / automotive industry. 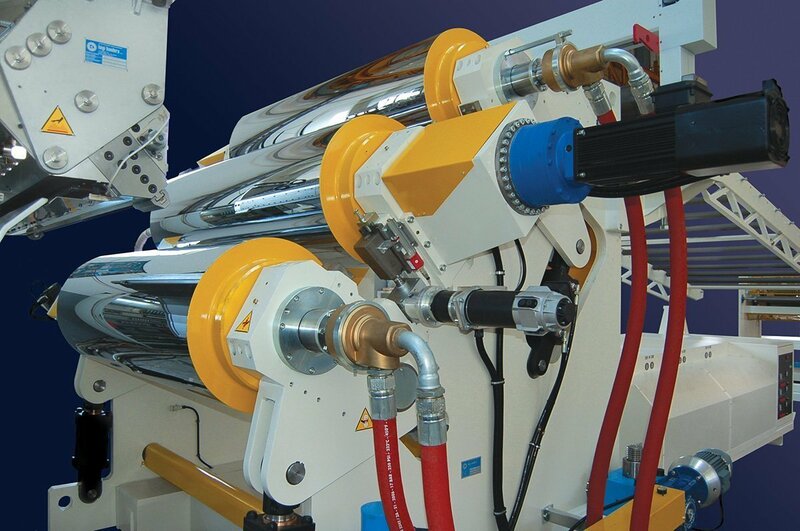 Because of its high mixing capacity the co-rotating twin screw extruder is the perfect solution for these products, where raw materials in different form (granules, powder, liquid, etc.) are used to run “top-secret recipes” for a market leading position. 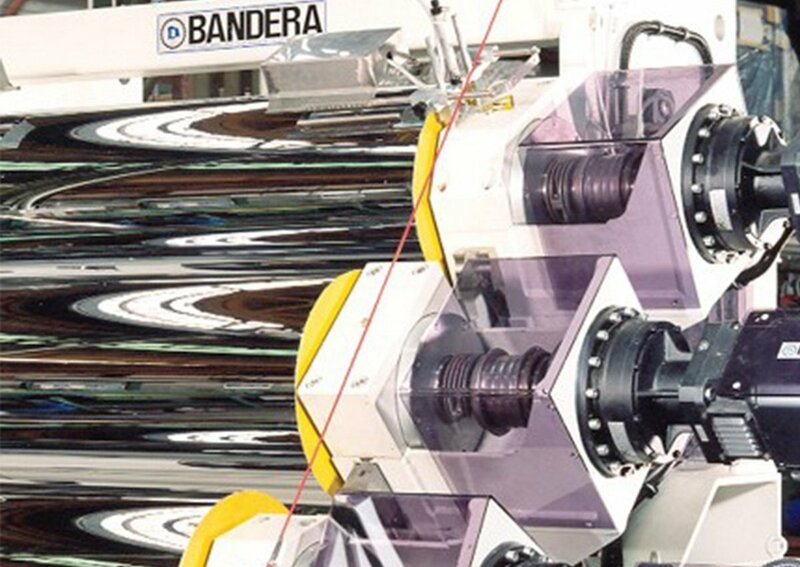 The in-house manufacturing capability combined with the long experience and skills of the Engineering Team allow Bandera to ensure a cutting edge production feature. 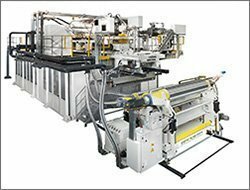 A new frontier in the plastic sheet extrusion where Bandera demonstrated again its pioneer-spirit. 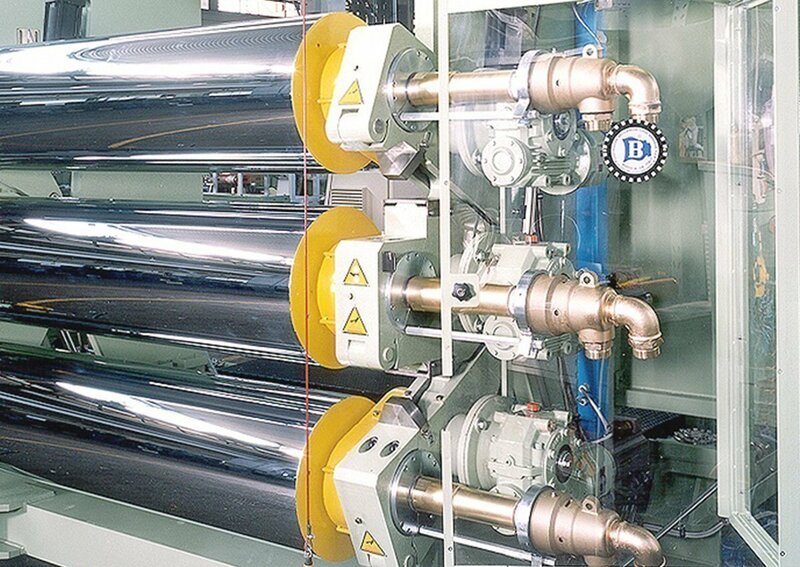 Besides the typical single or multi-layer sheet extrusion lines for the production of the EVA inner layer of the composite solar panel combination, Bandera achieved new R&D solutions thanks to the cooperation with specialized Customers.